Preparing for the arrival of Manchester United is never easy but for Everton who played hosts to the Red Devils this past weekend, its was harder than ever. 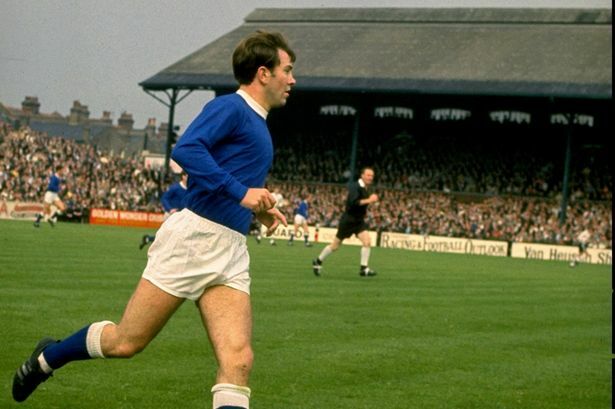 The club awoke up on Saturday to the terrible news that Everton legend and former manager Howard Kendall had died. A sense of numbness struck Goodison that day as the club mourned its fallen son. Kendall will be remembered not only as a great player for the club but as one of their greatest managers too. He would never earn a full England cap but that didn’t stop Kendall from becoming one of England’s most iconic figures, both on and off the pitch. Originally bought as a defender, Everton’s then manager Harry Catterick saw something else in Kendall and converted him to a central midfielder in a move that would prove inspirational for Everton. As part of the famous Holy Trinity, along side Alan Ball and Colin Harvey, Everton won the First Division title in the 1969-1970 season. The following season Kendall would be handed the armband for the first time, a position he kept for the next three seasons. However despite his strong leadership, Everton failed to build on their title-winning success struggling to find consistency and the good form that had made them unstoppable the season before. Kendall would eventually leave Everton in February 1974 but not after racking up 229 appearances for the club. After leaving Goodison, Kendall would go on to play for Birmingham and Stoke before joining Blackburn as player manager kick starting the next chapter of his life as a manager. After spending two seasons with Blackburn, Everton came calling and the draw of returning proved too strong for Kendall. He joined originally as player manager but after playing only a handful of games, he decided to hang up his boots and concentrate on management full-time. 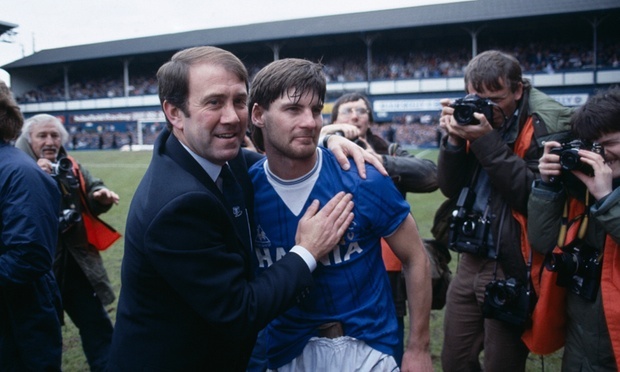 At first, things never clicked for Kendall at Everton and was even on the verge of being sacked in January 1984. But Kendall persevered and turned the clubs fortunes around steering them to the League Cup final where they would lose to arch rivals Liverpool in a nail-biting game. But It wasn’t long before he tasted success winning the FA cup in the same season. From there, Kendall never looked back and under his tutelage Everton embarked on one of its most successful spells winning the League title and the European Cup winners Cup in the following season. In the 1985-86 season, Everton would push Liverpool all the way in the league eventually coming second but would retain the title in the 1986-87 season beating Liverpool by nine points. Kendall would eventually call time on his spell as Everton boss, departing for Spanish side Athletic Bilbao in 1987 mostly because of his growing frustration at English clubs being banned from European tournaments. He did return to Everton for two further spells during a twenty year managerial career that ended dramatically in 1999 when he was sacked by Greek side Ethnikos Piraeus. His managerial career may have ended on a sour note but his legacy especially at Everton was very much in tact. During his three spells, Kendall had been instrumental in bringing various club icons to the club including Mo Johnston, Peter Beardsley, Andy Gray and Gary Linekar whilst blooding promising youngsters like Peter Reid, Gary Stevens and Trevor Steven along the way. After hearing of his death, tributes poured in from some of his former players including Peter Reid who spoke about losing a great friend and mentor, someone who was not only a terrific footballer but also an extremely talented manager. Gary Linekar echoed those comments by saying that Kendall “brilliantly managed the best club side he had ever played for” and that he was a “great bloke”. At Goodison on Saturday, the players wore black arm bands whilst the crowd emotionally applauded one of the clubs greatest every managers.